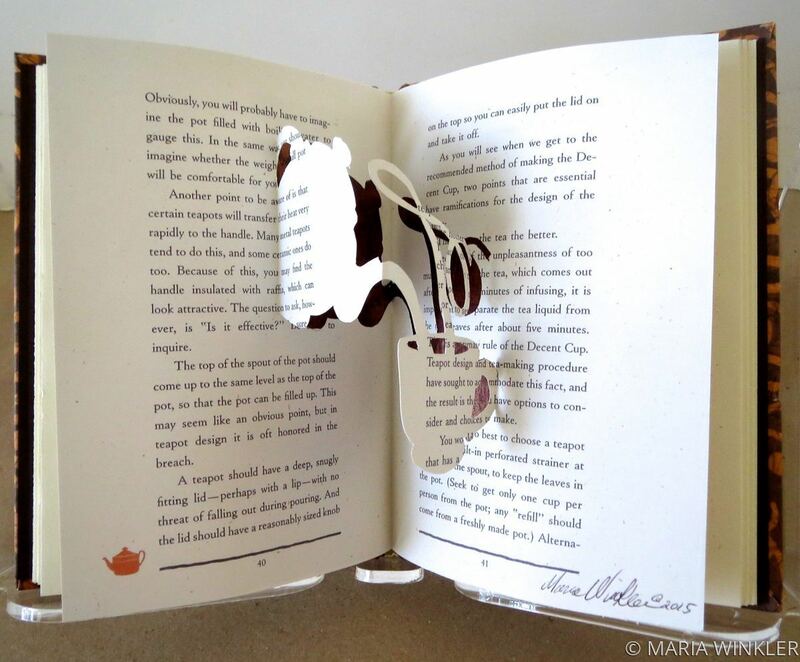 A book on tea, with a hand-cut paper pop-up in the center of the book. A teapot is pouring tea into a cup. The steam rising from the cup is the letter "T".